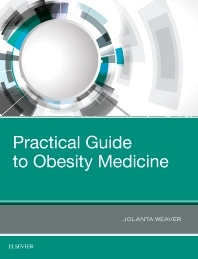 Get a quick, expert overview of the many key facets of obesity management with this concise, practical resource by Dr. Jolanta Weaver. Ideal for any health care professional who cares for patients with a weight problem. This easy-to-read reference addresses a wide range of topics – including advice on how to "unpack" the behavioral causes of obesity in order to facilitate change, manage effective communication with patients suffering with weight problems and future directions in obesity medicine. Features a wealth of information on obesity, including hormones and weight problems, co-morbidities in obesity, genetics and the onset of obesity, behavioral aspects and psychosocial approaches to obesity management, energy and metabolism management, and more. Discusses pharmacotherapies and surgical approaches to obesity. Consolidates today’s available information and guidance in this timely area into one convenient resource.